Effective February 1, 2016 we will have new store hours. Thank you, and tell your friends! Tomorrow, Saturday, February 8, come join us for an amazing array of chocolate samples from 10am until 3pm. And, we all know what hard work it is to hang out and eat chocolate, so from 10am until 2 pm Kathleen Kennedy will be offering chair massages on site! And, as if that weren't enough, you can even enter to win a 10-pound chocolate bar! So, be sure to check it out, starting at 10am tomorrow. We hope you'll join us this Saturday, September 21 from 11am-2pm. 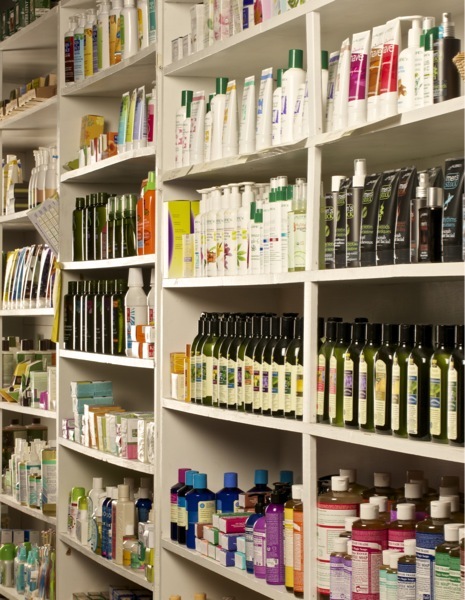 We'll be offering lots of great free product samples, from food and beverages to body care. You'll also get to meet knowledgable manufacturers reps from several of our fine brands of vitamins, food, bath products, and socks! Sample Saturday in 2 Weeks! Come join us on Saturday September 21, from 11am until 2pm, when you'll get to try free samples of, organic peanut butter powder, organic chocolate peanut butter powder, healthy beverages including delicious Camu Camu energy shots, pomegranate, dandy blend health beverage & latte, green food bars and gluten free organic and vegan snacks, aromatherapy bath soaps, and all natural organic hair, skin & body care products. Also on the 21st, you can meet exclusive manufacturers reps from Jarrow Vitamin Formulas, Sovereign Colloidal Silver, Herbs of Light "Living Foods" Herbs, Dandy Blend Dandelion Health Beverage, Greens Plus Green Food Powders, Caffeine Free Energy Shots & Nutritional Bars, Betty Lous Gluten Free, Organic Peanut Butter Powders & Vegan Snacks, Incredisocks for Increased Foot Circulation & Happy Feet, Plantlife Aromatherapy Soaps, and Aubrey Organics Hair, Skin & Body Care Products!. We'll be offering super savings during this Sample Saturday event, too; so be sure to stop in and try these fine products! Saturday, September 21, 2013 from 11am - 2pm at the NF&GS! On Saturday, May 4, 2013 from 11am-2pm we'll be offering free samples of: organic peanut butter powder, organic chocolate peanut butter powder, healthy beverages including delicious Camu Camu Energy Shots, Pomegranite, Noni, Super Fruit Juices, Dandy Blend Health Beverage & Latte, Green Food Bars and Gluten Free Organic and Vegan Snacks. You'll also be able to sample Aromatherapy Soaps and All Natural Organic Hair, Skin & Body Care products. Come join us, learn about these great products, get healthy and have fun!